Drew Sanocki has returned from a whirlwind trip with his family and we couldn’t be happier to have him back on the show. Today he’s catching us up on what he’s been up to including where he’s been living as a gypsy and the three huge purchases he’s just made. He’s also offering his best investing advice and what we can expect from him in the coming year. Hey, guys. It’s Andrew here, and welcome to “The eCommerceFuel Podcast.” Thanks so much for tuning in to the show. And today, I have a friend of mine on the program, back on the program I should say, Mr. Drew Sanocki, a good buddy of mine who hasn’t been on the show. It’s been a really long time. And he’s been doing some very interesting things in the private equity space, and so I thought, man, let’s get you back on, let’s talk, let’s catch-up and talk about some of those cool things you’ve been up to. So, specifically, we catch up quickly on some of his travels and some of the adventures he had with his family, but spend the majority of the episode talking about his adventures in private equity. He did a great series on his podcast, nerdmarketing.com, about private equity, so you can check that out. But we delve a little bit deeper into some of the more nuanced details about compensation and different deals he was involved with. Some of them were as an operator where a private equity company would come in and hire him almost like a contractor, versus some of the stuff he’s been doing more recently where he’s actually a partner on the deal. He’s got skin in the game on that. So, you know, really get into the weeds like a couple of financial geeks do. So, I have a lot of fun with it. I hope you enjoy it as well. But before we jump in, I wanna give a big thank you to our two incredible sponsors. First, thank you to Liquid Web, who makes the absolute best managed hosting platform to put your WooCommerce store on top of. So, I use Liquid Web for all of my stores, for all my websites. And we actually have a review directory in our private community where all of our members review different tools and software that they use, and Liquid Web is in there. It’s pretty meta, right? And our members have given them a 4.8 out 5-star rating. They have 100% 4 and 5-star reviews. They’re incredible. They do a really nice job. And if you’re on WooCommerce, they take their already rock-solid hosting and optimize it for your WooCommerce store to give you just hands-down, the best place to park that WooCommerce store anywhere. 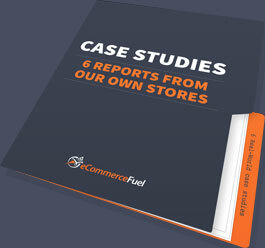 So, if you wanna learn more about them, if you wanna learn how they can supercharge your WooCommerce store, you can do that at ecommercefuel.com/liquidweb. And then secondly, a massive thank you to Klaviyo, who makes email marketing automation for eCommerce incredibly easy and profitable. They recently rolled out a couple of cool enhancements to their flows, specifically date-based flows. So, you can set up your flows based on dates, maybe it’s for a birthday countdown, maybe it’s for something that a fixed date, maybe you’ve got a sale in the future that you’re gonna lead up to with a five or six emails responder series. So, you can do that now in Klaviyo, and also location-based targeting. So, if you’ve got something going on, a pop-up sale in a city. Maybe you have a sale just for your U.S. or your EU market, or you’re trying to, you know, deal with all that GDPR stuff, that is now also in Klaviyo. So, if you’re using them, you know how good it is. If you’re not, you can start for free at ecommercefuel.com/klaviyo. All right, let’s go ahead and get into my chat today with Drew Sanocki. Drew, September, 9th, 2016. Does that date mean anything to you, sir? Welcome Back, Drew The Gypsy! Drew: What? No, it doesn’t. Was that the last time we podcasted? Andrew: The last time we podcasted before you hit the road as a gypsy, taking your family and just kinda disappear into the ether. The last time I had you on. Drew: That’s right, and then you’ve started the podcast, as I now have discovered, without me. Andrew: Well, I mean, I quit after you left, of course. There was nothing else to do. And then I just, I got restless, and I’m sorry to betray you like that, but had to do it, you know? Drew: Have I been replaced by like a Bill de Alessandro, or an Andrew Foxwell, or like one of those sidekick guys? Drew: No, no one can. Andrew: …with all your quirks and craziness and inappropriate comments, at least in that way? Drew: You’re editing time has gone way down. Andrew: Oh, man. But dude, good to have you back on. Thanks for coming. It’s awesome to catch back up. It’s been too long. Drew: Yeah. I was excited to hear from you, and really excited to be back on the podcast. Andrew: Yeah, so I wanna, it’s so much to catch up on, kinda probably break this into, catch up on you in general of life, and then kind of get to the private equity side of things. But some people listening I’m sure will follow you over at nerdmarketing.com, where you write and podcasts, and got your podcast going up again. Really been enjoying that, by the way. It’s been awesome. What have you been doing, like, we since talked last? 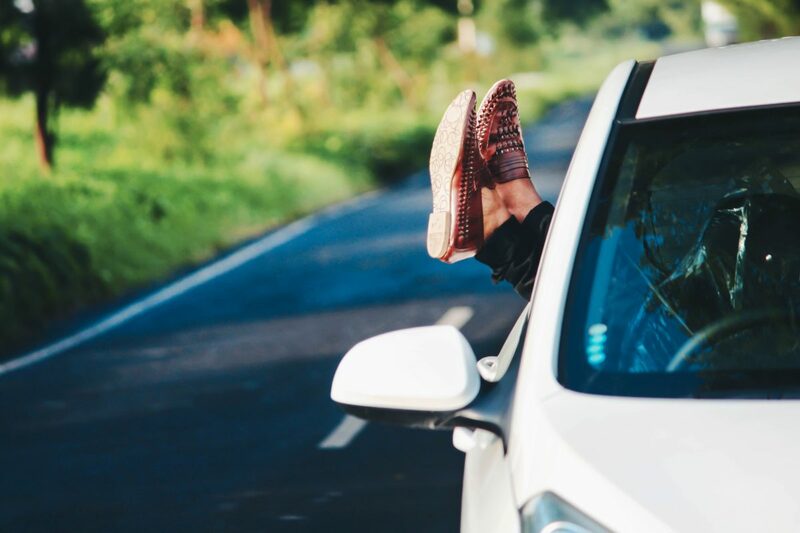 Obviously, we alluded to some of the travel, but talk about what you did for travel and renting your place at New York and hitting the road. What did you guys do? Andrew: Same old boring people. Drew: Yeah, old boring people who were all my friends. And we said out loud, “I’m so bored of this. You know, don’t you wanna just get out of here?” And she was thinking the same thing, and we just said, “You know, I kind of feel like traveling. Like, let’s just go. The kids are not in school yet.” You know, my son was in preschool. Andrew: Side bar, Drew. If you’re in New York and you wanna be friends with Drew, he’s looking for new friends. You can go to nerdmarketing.com/applyfriend, and you can apply. Drew: But of course, at a future cocktail party, I reserve the right to just say in front of you, “This is so boring. I’m going to leave the country for…” So, we left and we just, you know, we bought one-way tickets for the family, for four of us to the Caribbean, and had two nights planned. Eight months later, we came back. It was awesome. We went all around the Caribbean, then we went over to Europe and spent a lot of time in Italy, in Germany and the U.K., a couple of other countries. But man, just what a…you did this, I think, with your family too? But you drove around the U.S., right? Andrew: It was fun. I remember we had a discussion about this before you left, and we got on the phone and you’re like, “Hey, Andrew, like what kind of vehicle do you use for your traveling?” and I was like, “Oh, we use this type of van. It can sleep like four or five people, how many people are you looking to sleep in?” and you just kind of this pause on the phone. Drew: Sleeping in a van, that has a lot of appeal, and that was up on the list right behind the Caribbean and Europe. It was, you know, it was a road trip around the U.S., seriously. Like, I just think it would be a lot of fun, and that’s still…I think we’re in San Diego now, and when we go back to New York, if and when we go back to New York, we’d like to drive cross-country. But, no, for us it was, you know, it was a lot of time in beach hotels in the Caribbean, and just trying to get a good sense of the place down there. This was before all those hurricanes hit last year. And then we went to Europe, and man, just connected with some distant relatives in Italy, and it was pretty much… Then we got into more of a routine of, you know, we get an Airbnb for about a week, we line up a babysitter or childcare for three or four days a week, then we move to the next place. And, you know, half the day was probably touring around the city, the other half was kind of getting some work done. It was just a great experience. I’m so glad we did it. Andrew: That’s cool. At the end of that time, were you thinking, “Hey, this is a great…I love this balance,” you know, kind of a half-work, half-play, or what were you thinking, “Man, I’m really ready to dive back into full tilt to kind of the business side of things”? Drew: Actually, a little bit of both. We both loved it so much. We’ve asked a number of times, “Can we keep doing this?” And it really, you know, for us it comes down to kids. It’s hard to travel like that and have two young kids in school, because you’ve got to home school the kids eventually, right? It’s a good match, and I’ll do that, but so, you know, that makes it tough. And I was, I was kind of ready to work, but work in a different way. So, one of the big insights I had and the things I thought about a lot was like, you know, I’m away from my consulting agency growth engines. And I’ve got a business partner, Michael Epstein, who sort of runs more of the day-to-day there, and that business continued to grow, you know? And it showed me that I could have a much more balanced life, work maybe fewer hours but work harder and be more strategic with my time, and in my case, trying to, you know, sell more clients or something like that, or talk to more, networking into more funds, and the business just kept growing. So, the insight I had was maybe I could just work smarter when I get back, have a better balance. And I also wanted to acquire some assets. So, I’m, you know, in my mid 40s and I just kind of, I see my 50s, and they’re, you know, they’re not that far away. Drew: Yeah, and I don’t wanna be like…I don’t wanna be hustling as much in my 50s. I don’t wanna be figuring out how to, you know, like this Shopify app isn’t working right, or, you know, WordPress is down I’ve got to reboot this. Just like the little, the sort of the little things that every entrepreneur deals with, like, I don’t want my 50s to be about that. And I’d like to acquire some assets that throw off cash and kind of provide for a good livelihood, and allow for the possibility of an exit. So, that was my intent when I came back from the trip. Andrew: And you had a great episode on kind of working really ruthlessly from the road on, you know, two or three hours a day, I’ll link up to it. It had some awesome pointers. So, you come back, and you’re in San Diego now for reasons we’ll talk about in a minute. Kinda that’s your home base for the time being. And three big purchases that happened in Q1. I think a lot of people maybe know about one if they listen to your podcast, but a couple of others surprised me that were really interesting. So, what happened this last three months on your little spending spree? Drew: Yeah. So, I come back from the trip and I’m just thinking I would like more equity and more things. You know, I’ve been sort of consulting for private equity funds, doing this operating partner role, which is a lot of fun and exposes me to a lot of deals but, you know, I wanna take part in more of these deals as an equity investor too. And so back I got a caller who runs a fund in Los Angeles, and he had a company he’s looking at, AutoAnything. And he brought me in on that deal, and I ultimately became a partner on the deal, and so that was my first acquisition. I mean, there I am the executive chairman of the board, so I’m not operationally involved, you know, I have a very small part, equity portion of that company, but it’s a very big company. And then shortly after that, I just had a couple of other opportunities. I bought a supplement company called Go Simple, gosimple.com, and I bought a SAAS company that we are in the process of rebranding. But that SAAS company allows Shopify owners to send automated direct mail to certain customer segments. So, it almost happened like boom, boom, boom, one a month for the past three months. Andrew: That’s insane. Has it just been, I mean, have you just been full bandwidth, stretched to the limits, trying and getting all three of those done? I mean, any one of those would have been, you know, a busy quarter, but all three of them at once, it sounds like a, you know, just a craziness. Drew: A little bit, you know? But part of the way I was able to rationalize it, or justify it, was that I wanted a partner on each one. So in AutoAnything, the management team stayed intact, so like there’s a CEO, right, who is still running the company. Certainly, the deal stuff was hard and time consuming, but, you know, I’ve got a partner in the CEO. Go Simple, I’ve got another partner on that, and I have somebody in mind who I think is gonna run it. And then third one, the SAAS company, that we bought through our agency growth engine, .io, so I envision using the team there and partnering up with my business partner there to run that one. Andrew: Very cool. That’s awesome. So, I have to ask on the AutoAnything side, you know, you and I did an episode. We both have run drop shipping businesses in the past, have both, you know, kind of realized that market’s getting much more competitive. And AutoAnything is a much bigger drop shipping business, but still drop shipping business. What made you decide to get back into that type of business model, given the headwinds in the market we’ve talked about? Drew: Yeah, and I mean, that was my first reaction, was drop shipper. Man, like I can’t…they keep pulling me back in like that line from “The Godfather,” you know. I started a drop ship retailer, right? I mean, drop shipping’s tough and, you know, its days are over. I think I said that in 2006. And then Karmaloop, the drop shipper of street wear apparels, so I go there and be the CMO. All right, that’s my last I’m gonna be involved with drop shipping. Andrew: We may need to do a flashback to like the seven or eight quotes of you just being like, “Drop shipping, totally dead.” You know, just a whole compilation to set us up for your AutoAnything purchase. So, yeah, I mean this is, as you know, as you well know, this is a business model that is what, 10, 15 years old. Amazon putting a lot of drop shippers out of business. So, these are all negatives, but on the positives, I mean, this is a big drop shipper, right? So, I’m not gonna give the exact numbers, but say like $150 million topline, you know, $10 million in EBITDA. Like, it’s a big company, right? And a couple of a hundred employees, and it’s been relatively stable. And you’ve also just got this…I looked at it like we’re buying this audience too. We’ve got five million people on our email list, you know, there’s just millions of people every month hitting the site, so you’ve got an audience which you can leverage to build, you know, the business of the future on, right? The one that is more defensible against Amazon. You know, that might be a private label business, that might be other brands, whatever, but, you know, I looked at this like we’re buying this asset. We’re buying this audience. We’re buying cash-flow. And, you know, at the end of the day, it all comes down to the purchase price, right? So if you get a good enough deal on it, then the acquisition makes sense, whether there’s an Amazon or there isn’t. Andrew: What’s more fun? You’ve done this a couple of times, you know? Is it more fun to running your own retailed, you know, kinda like design public where you are the operator, or is it more fun kind of doing the investing the private equity side of things. And I know maybe you’ve had slightly different roles there, but which side is more fun in your opinion? Drew: That’s a tough question, because I think if it’s just pure fun, like the early days at Design Public, you couldn’t beat those. When every day revenue is going up and you’re building things, and you see the immediate impact, and you got a small team, like that’s really exciting to me. I think you lose a little bit of that when you start doing the private equity work and investing, because, you know, granted we were a small team of four people that bought AutoAnything, but it’s hard. You know, you’re not really rolling up your sleeves and launching new marketing campaigns. Like, everything has to be done through the company, it’s just that big, right? So, I think you lose a little bit of the excitement there. On the other hand, there were a whole lot of frustrating things at a company like Design Public that bother you, you know, that bring you down like that death by 1,000 paper cuts where, man, Magento crashed again. Like, I’ve got to call, you know, my hosting provider and figure out why Magento isn’t running. Like, just those things would take me, you know, from running a business, like that would be a week, right? Like, I’m gonna troubleshoot Magento this week. No matter what else you wanted to do with the business, that was the troubleshoot Magento week. I don’t have to do that now, and that’s kind of nice. Like, you can just…you really can be strategic and you can think, “Man, we need this functionality,” and, you know, I don’t actually have to build that functionality. I can go out and try to buy another company that has that and fold them in. So it’s this, I don’t wanna say higher level of thinking, but it’s definitely more like strategic thinking about an industry that is kind of exciting right now. Like, all bets are off. Like, if we got access to capital, we can really play a much bigger game, right? I feel like instead of being so tactical, I can abstract up a level and think more about acquiring companies to grow this business. Andrew: I’d love to hear if you’re willing to talk about it again and the kind of the real nitty-gritty about how the deal was structured, how you were brought in, you know, as either an operating partner or an equity partner. I mean, we can talk about, you know, the two big deals, even a part of Karmaloop and then AutoAnything, because I think there’s differences there. So, when you came on board for Karmaloop, you partnered with a private equity firm, correct? Drew: Yeah, you know, and I…So, our agency partners with PE funds, and we do diligence on deals and we help the PE funds grow portfolio companies. And if you don’t know what a PE fund, PE stands for private equity. It’s a company that buys a private company as opposed to say a public company, or as opposed to also a venture fund which invests in more ideas, right? Small companies. Most people listening to this podcast, like if you’re going to sell to someone and it’s not another company, it’s probably gonna be a private equity fund, right? Because they’re the kind of companies that would buy a direct to consumer brand. So, you know, I decided early on I wanted them to be my client, because I know a lot of private equity funds. That’s where my past is. And, you know, we do a lot of work with these PE funds and we’re exposed to a lot of deals. Karmaloop was sort of a unique case because it was so similar to what I had run before, i.e. a drop ship retailer, that in doing the diligence on the deal, it became obvious that this company after acquisition was gonna need a CMO and a CEO. So, I was involved in finding the CEO and then I said I would love to do the CMO part, and everybody kind of agreed so I became the CMO there. So, that is more of like what I’d call an operating partner role. So, if you’re an operating partner, you are associated with a fund and you are the fund’s operational bench. Like if we need, you know, there might be an operating partner who’s really good at finance and accounting, and if a portfolio company, a new acquisition, needs a CFO, we’re gonna slot that person in, right? So, that was more of like the traditional operating partner role. And then with AutoAnything, I was more a part of the deal team. So, I did diligence with these three other guys at Kingswood Capital, and they considered me a partner in the deal, which means that you share in the deal fee and then you can also put some money into the deal when the deal goes through at the deal price. After the deal goes through, I’m not taking an operational role at the company. I’m not the CMO or the CEO. We kept the management team intact. Like, I’ll look into stuff like that because they’re a little bit outside of his purview. I’m doing a lot of the lifecycle email stuff, or at least thinking through that right now because I like doing that. So, that’s kind of what I do in this case as an executive chairman. Andrew: Got it. So, for Karmaloop, just to make sure I get the details right, Karmaloop, you definitely were involved with it but you weren’t involved on the equity side, you were an operating partner. So, they would pay you almost like a very high end contractor, to come in to operate on the business, but you didn’t initially have skin in the game on the equity side, but you also probably didn’t have to put, you know, money up front to be a part of it. But with AutoAnything, you were part of the original deal team. You put, you know, you put money in upfront, you have a piece of equity, and those probably negotiated, you know, in terms of how much you put in versus the equity you got. And you probably even, I’m guessing, get some kind of salary or compensation for being the chairman on the board as well, correct? Drew: Yes, so that’s exactly right. I mean, you can put…part of the advantage of working at a private equity fund is you see, you know, 30, 40 deals, or whatever. You can put a little bit of your own personal money into each one, if you want, you get a deal fee when the deal goes through, where that’s like a lump sum payment, and you could also flip that into the deal. And then if you go on to work in the sort of activist board member like I am, you get a, you know, you typically get paid as a consultant, and you get exposure to, you know, the equity pool and the options or bonus pool at the company from doing that. Andrew: So when you say “Deal fee” is that where you…it’s kind of a royalty or a big payment you get once the deal closes to compensate you for, you know, advising on the deal, doing the due diligence, all of the stuff that goes into making a deal happen, that’s what the deal fee is that you get paid out? Drew: Correct. Correct. A lot of these small funds like Kingswood will work on, you know, these guys work on the deal sort of at their own cost, right? And then when the deal goes through, they pay themselves out of the fund, you know, pay a deal fee. Andrew: Yeah. So, for AutoAnything, and you don’t have to talk exact, you know, specific numbers, but maybe in rough ballparks, how much capital do you have to put in to be a part of this, to be part of a deal like this? Drew: I probably didn’t have to put any in. It’s just if I believe in this and it’s to my advantage, you know, it’s to my advantage to put as much as I want. You know, what a deal goes through, if they put in, like if the, say the deal price is $10 million, right? We would raise $10 million from our limited partners. So, these are big family funds and things that work with Kingswood. This is all hypothetical amounts, but, you know, the $10 million comes from those investors, from those big family funds. But we also reserve say a million dollars or a half million dollars for us to, you know, to do, for like friends and family almost, you know? So, “Hey, we’re gonna buy this. It’s, you know, a dollar a share, we’ve got a half million shares here and it’s to be distributed among the, you know, among the four people who worked on the deal.” And you kind of say like, “Oh, I’m in for $100,000, I’m in for 50k.” You could say, “I’m not in for anything,” in which case, you know, you just don’t have options priced at the deal price. Andrew: What about time involved on something like this? I mean, maybe we can talk about Karmaloop first and then go to AutoAnything, you know, you helped out on the diligent side upfront, and then on the back end, you were the CMO. Was this something where you were able to do this part time or was that a full time gig for you where it consumed your life for the, you know, three, four, five, six, however many months you worked on it? Drew: I mean, when I was CMO or when I was doing the diligence on the thing? Andrew: Maybe both, I’m guessing the diligence was probably even more time involved. Drew: Diligence is kind of like hot and cold, like, you know, there might be trips to visit the portfolio company and meet management, and then there might be some lag time where you’re just waiting for information, you know, and then it heats up again. So, that’s definitely a part time thing. Maybe a third a year time. And then at Karmaloop I was CMO, so I was, you know, I was like full time. I mean, I think I still blogged and stuff, but I was pretty focused on Karmaloop here. You know, it’s one of those things that, again, it’s up to me, but I don’t, you know, I don’t punch in or punch out but it’s more like immediately after the deal goes through, there’s a lot more work to do. And then, you know, if things are going well and you’ve got the right team in place and you have more and more confidence in the numbers and the systems and the processes to run the company, then you can taper off to, I don’t know, a visit a month or something. Andrew: Yeah, so AutoAnything, once you close, you know, as the chairman right now, you’ve got a lot of stuff you’re kinda getting into place. But let’s say, you know, three or four months down the road where you’ve, kind of you feel a little bit better about where the business is, what you need to do, you’ve assigned some of that stuff. Is that something where as the chairman you still are, you know, you’re still putting in four, five, six hours a day, or is that something that you conceivably spend, you know, maybe a day, a week, really focused on keeping, you know, things going, but it’s not something takes up all your time? Drew: I would say the latter, ideally, you know. But, again, it really depends on the company. Like, this is my responsibility, so I could go down to almost no time other than board meetings right, or just checking in with the CEO every week, and then all of a sudden, something happens, you know, the CEO quits, or like, I don’t know. Like, just something major happens where I gotta all of a sudden, get very involved in the company again. So, I mean, that’s always…The idea is I just, I own the company. Like, it’s my responsible. I mean, I own it, I don’t own all of it, but I own the responsibility for the company. Andrew: Right, that makes sense, yeah. That’s one of the things that’s always, you know, with the model, it’s scared me a little…not scared me, but afraid of very cognizant about because it sounds really great to be able to raise a fund, you know, go out, make investments in, you know, six or seven or eight companies and then sit back and just kind of have strategic calls once a month with all managers, right? That sounds like a lot of fun, but realistically, maybe that works, more likely than not, though. You’ve got operational issues where a manager doesn’t work out and all of a sudden there’s no one at the driver, you know, no one piloting the plane, and you’ve got to step in for three or four months and get it back on track. Drew: So, Kingswood is three guys, and their model is when they buy a portfolio company, they wanna have the executive chairman in mind who’s an outside operator, like me, to slot in to sort of own that one, right? Because with three people running a fund, you don’t have enough people there to run each of the portfolio companies, right? So, that’s their model. And you’re exactly right. Most of the funds I talk to where it is a small team like that, there are, you know, three, six months where all of a sudden that person goes dark and you’re like, “Hey, where have you been?” he’s like, “Well, you know, we just lost the CEO,” or, “I had to…you know, our numbers weren’t working out, I had to get really involved for a couple of months there,” and they go deep, you know, and it just kind of comes with the territory. I will say that there are like professional executive chairs who are just on boards. Those people may be are on two or three boards and can make a living off of that, really, depending on the company, and doing nothing else. So, that kind of might give you an idea of how much work is involved. Andrew: How did you…and obviously, to get to the point where you’ve got the relationships and the connections, that’s something that happens over time, and a lot of different, a lot of things go into it. But if someone was listening and they’re thinking, “This sounds really interesting. I’d love to be where Drew is in let’s say, you know, three to five years,” what could someone do to kind of get themselves in a position to be able to do the same thing in terms of, you know, assuming maybe they have some kind of operational background, but in terms of connecting with people, creating trust, who do you connect with? How do you put yourself in position to be someone that these guys are considering to be in a role like you’re in? Drew: I think you just email me, because I get asked…I mean, I literally like, the partners at private equity funds, I have a handful that email me fairly regularly saying, “Do you know any operators who could help me out with, you know, this company?” And it’s always a direct to consumer brand that is, you know, trying to figure out their Amazon strategy or trying to figure out something. So, just getting involved in, those are more like consulting projects, but that’s like a foot in the door. You know, you start there, you do really well and impress that fund, and then you might become their sort of go-to person to run a company someday, or to, you know, be on the board or run a board, or something like that. One thing I wish I knew when I was younger is that it doesn’t have to be done at the level I’m doing it, of may be like a $200 million, I mean whatever, $150 million company, right? Like, you can start buying companies for $5k, $10k. Like, you can start buying small companies and be your own emperor of a smaller empire but, you know, where you own the whole thing. You don’t have to network into these private, you know, private equity funds to achieve that. You just have to be very good at sniffing out kind of small deals and putting some capital together to assemble a portfolio. Andrew: And what made you, Drew, I mean, you’re doing a little bit…well, you’re doing a lot of this kind of on your own anyway. You mentioned the supplements business and the kind of the SAAS business that you’re doing. And I know you have partners there, but I’m guessing you kind of, on the equity side either funded those or helped to fund raise independently, but one of the calculus for you of saying like, “Hey, I can do this AutoAnything deal or a deal like it with a PE firm, or I can create my own firm and kind of go out and own all of it and do it on my own.” What made you go the route you did versus the alternative? Drew: It was a little bit more opportunistic on my part. And I would definitely, next time you get Bill De on your podcast. He’s been more strategic about it. So, for those who don’t know, Bill de Alessandro went out, raised three or five million bucks on a thesis. His thesis was I’m gonna buy, you know, $1 million lotions and potions companies, get them all on the same platform and grow them. For me, I wish I could say it was like that, but it’s much more opportunistic, you know, like this opportunity came up, and then Go Simple came up, and then…I did proactively look for the SAAS company, but it was a little bit more like that. And it’s because I’m still learning a little bit, like, you know, this deal was probably…this deal was too big for me to do by myself. I would not be interested to do it by myself. We bought this from Autozone, a public company. You know, we had to close before the end of their quarter. And there was a lot of like financial diligence involved, a lot of figuring out what accounts receivable is and how we’re gonna compensate people and, you know, how we’re gonna like assume all of the obligations that this company had under Autozone, and who pays for what. And like, I wanted to kill myself. That stuff is so incredibly boring for me. And yet I get that, you know, a lot of the money is made if you could figure and hash out that stuff. And the other people on the deal team were really good at that, and they make a lot of money figuring that stuff out, and I know myself to know like I am number one, not interested in it, and number two, not as good at that. So, if it were just me, I would not be able to raise the…I mean, if I raise the capital to take down in AutoAnything by myself. So, for me I think my sweet spot is probably more like the Go Simple and the SAAS company where I just, you know, I understand the business, I can get my head around all the financials and just assemble the capital myself and do it. Andrew: Before I throw you into the lightning round here, any final thoughts for someone thinking about getting into the private equity, or kind of the buying company space that we haven’t talked about? Drew: A couple. I did a short series you mentioned under marketing, so it’s at nerdmarketing.com/go/PE. And I think there are four or five episodes there where I just kind of lay out what is private equity and why you should care. And it comes down, you know, it’s because these are the people who might buy you someday, or you might wanna go buy a company someday. So, like, listen to those. It’s probably 15-20 minutes of your life that, you know, you’ll learn a little bit about private equity. The last episode, I kind of open my rolodex a little bit, and I give you the four or five people, individuals I know who buy ecommerce companies. And so those people are good to know, not necessarily you should reach out to them, but, you know, get them on your radar, know what they look for because it will help you add value to your current company. So, I do that. I would go to Quiet Light, their podcast is really good. Quiet Light Brokerage, and their podcast, I just like their podcast because it’s about buying a company if you are just gonna start out. Drew: Yes, I think it’s Shaquille. But were like all internally financed, you know, he gets them, he puts a GM in charge, he moves on to the next one. He gets it, he puts a GM in charge. You know, he’s just systematically done that over three years. And I’m like, man, if I were just starting out, that would be a really attractive option to me to do what he’s doing. Andrew: Yeah, he actually came on the ECF Podcast. We did a little two-part series with him. He’s got a really impressive story. And yeah, he knows his stuff. Andrew: Softball pitch. No, we’ll link up to both of them, Quiet Light’s as well because yeah, they have a fantastic podcast too. Drew, this is awesome. Thanks for letting me pry into all the details here, as that guy who’s curious about the, you know, the financial back end of a lot of this stuff, and it’s something I’ve thought a lot about doing. Drew, so I know it’s been a while since you’ve been on. I think you’ve done the lightning round before, but I believe we’ve got some new questions. So, if you’re up for it, I’d love to throw you into this one more time. Andrew: If you had to identify the number one thing you’re trying to optimize your life for right now apart from buying copious numbers of businesses, what would it be? Drew: I think I alluded to this earlier, but managing those businesses post acquisition. And if I had to boil that down to one thing, it’s negotiating childcare with my wife, who also has a career. So, like that is the number one thing that I think is, you know, we’re working through right now. Andrew: What was the, you touched on this maybe too early, the most annoying part of diligence for your most recent deals? Drew: Yeah, it’s the financial and accounting part. I hate that part. It’s like three-hour conference calls with the accounting team, going line by line through 10 years of financials. Drew: I just don’t like that, you know? Maybe I’m different than most of your listeners, but personally, I don’t like them. Andrew: No, I was involved with some diligence back in my banking days and we focused on like regional banks, and so I feel your pain, man. It’s brutal. Drew: But I admire the stamina of the other partners. Like, these people are machines. Like, they are good at it and, you know, in hour three they are still finding errors and opportunities when I just like, I’m just like on ESPN, I just can’t, you know, I can’t concentrate. Andrew: Drew’s in the corner watching the playoffs. Somehow still managed to swing chairman. What was one of the most unexpectedly interesting/great places you’ve visited on your travels? Drew: I have two, one was a kind of a private island in the British Virgin Islands called Guanah Island. They harvest food from all over the island, and that’s what they…they’ve got like a Michelin-rated chef who cooks for you. Like, it’s just incredible. The other one is the Dolomites in Italy. You can go highbrow there, you can go lowbrow, but the mountains are just beautiful. And the cuisine is so incredible, because it’s like where Italy meets Germany, so you’ve got polentas and sausages, and cheese, and fondues, all kind of wrapped up in one. I highly recommend that. Drew: I think it was like an angel investment in a buddy’s startup. So, did no research on the company, just kind of believed the hype. I’d just sold my company, so I had like a lot of cash. And I thought I was a bigwig. I thought I knew a venture, and yeah, I lost all of it. Andrew: What’s the best investment outside of your businesses that you’ve made in the last 10 years? Andrew: Drew, I have never heard of this Mongolian bank account before. Why have you never mentioned this before? Drew: I mean, this was back when we were gonna have our, like the U.S. is going to hell in a hand basket podcast. Andrew: When, you know, we were shopping for real estate in New Zealand for our bunkers? Drew: Yeah, stocking up on gold and…right. I began to wanna get my money out of the U.S. after I sold my business, and so I put some of it in Mongolia. I found a bank account there that pays 8% on U.S. dollars in a CD. So I got a CD ladder that’s just paying me 8%. And the rates have come down a little bit, but this is a well-capitalized bank. You know, granted I could lose everything if the Chinese like invade or something, but, you know, I’m pretty happy with that return on my cash. Another is a Georgian small business lender. So, this is a, Georgia the country, and they loan money to small businesses in Georgia, but only loans backed by hard assets like gold or equipment, things like that. So, that pays 15%. Very happy with those. Andrew: Interesting. And do you remember, Drew, we had a discussion, I think it was in Nashville. We had dinner with someone who was in the financial world that was very suspect of your investments in Georgia and Mongolia. They’ve always be panned out well so far. Do you remember what I’m talking about? Drew: I think it was Heacock, wasn’t it? Andrew: It was, yeah. I wasn’t gonna name him, but if you’re gonna throw him out there. Drew: Yeah. Well, if he came on the podcast, he’d say still, it’s like, “There’s no investment without risk.” And I get that, like I haven’t put my whole portfolio in these. You know, I get that there’s risk. It’s just worked out, you know? Andrew: Finally, wrapping up this round, hopefully on a slightly embarrassing note, first CD, or given the fact, you know, or tape, or vinyl, in your case, but perhaps that you ever owned? Drew: Yeah, classic 80s. But it was such a good tape. I mean, there’s like three or four classics on that tape. Andrew: Love it. I think my most embarrassing 80s CD was Roxette, “Joyride,” which I still listen to occasionally. It’s a good CD, despite being embarrassing. Andrew: Drew, it’s awesome to catch up. I hope we can do this more on a regular basis. And congrats on the purchases that you’ve made over, you know, just what a crazy quarter for you? And I’m excited to see how they pan out and grow in the future, man. Drew: Thanks. Yeah, it was great to be back, and would love to give you an update on how this all works out. Andrew: Yeah, I’ll link up to all the stuff we talked about. And if you’re not listening to “Nerd Marketing,” Drew’s podcast, really good stuff. If you like this, you’ll like that even better because it’s everything he’s talking about with me get in the way. So nerdmarketing.com, check it out. And Drew, hope to have you back on soon. Drew: Thanks a lot. Any time. Andrew: That’s gonna do it for this week’s episode, but if you enjoyed what you heard and are interested in getting plugged into a dynamic community of experienced store owners, check us out at ecommercefuel.com. eCommerceFuel is the private vetted community for eCommerce entrepreneurs, and what makes us different is that we really heavily vet everyone that is a member to make sure that they’re a great fit, that they can add value to a broader community. And also have to think our two sponsors that make this show possible. Liquid Web, if you are on WooCommerce or you’re thinking about getting on to WooCommerce, Liquid Web is who you should have host your store, particularly with their managed WooCommerce hosting. It’s highly elastic and scalable, it’s got built-in tools to performance test your store so you can be confident it’s gonna work well, and it’s built from the ground up for WooCommerce. And finally, Klaviyo, for email marketing. They malike email segmentation easy and powerful. They integrate with just about every cart out there, and help you build incredibly automated, powerful segments that make you money on autopilot. You can check them out and get started for free at klaviyo.com. Thanks so much for listening, and looking forward to seeing you again next Friday.